I had intended to spend every spare minute this weekend working on my Sincerely Jane rug. 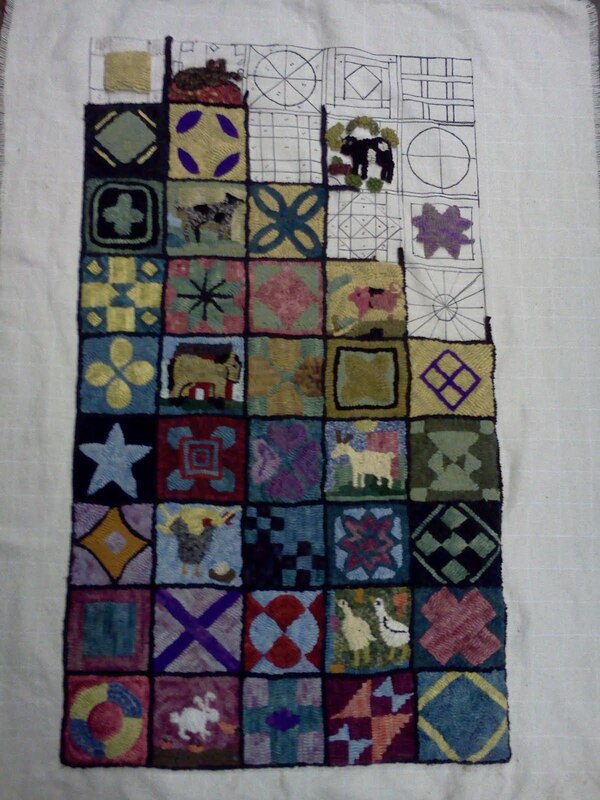 I thought I would have everything finished except the binding, but I haven't even picked up a hook. 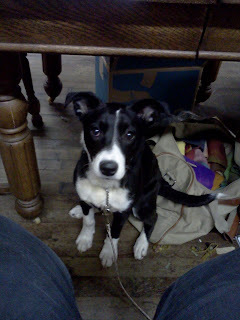 This little critter under the table, sitting on my wool bag, has occupied every spare minute. This is Gadget, also known as Gidget. She joined us a week ago and is a wonderful addition to the family. Gibby has learned to play with her. Patches stays far away. She's in perpetual motion, always looking for a toy - like an empty dog food can, a toilet paper roll, or anythng that can be ripped and torn (just rescued my checkbook as the bite and double-twist were being applied). What a cute little friend! They sure can win your heart faster than anything. I'm glad you have a new addition.